The Brooklyn Flea Partners Eye a Bigger Future « Adafruit Industries – Makers, hackers, artists, designers and engineers! 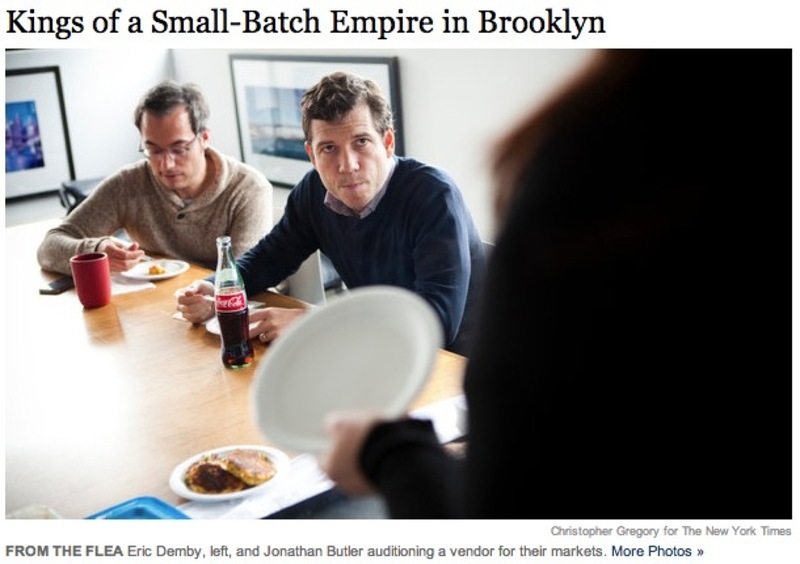 The Brooklyn Flea Partners Eye a Bigger Future @ NYTimes.com. A more complex deal illustrates the synergy of Brooklyn’s food scene with the city’s economic development, and underlines the way in which Mr. Butler’s business interests interlock and promote one another. The founder of the Brooklyn real estate Web site Brownstoner, Mr. Butler is now jumping off-line into development. His first project is a 150,000-square-foot commercial renovation of the former Studebaker Service Station in Crown Heights, which he and another development company bought for $11 million in April. Goldman Sachs has invested approximately $25 million in the project. On its ground floor there will be a “food incubator,” providing kitchen and educational space for emerging food businesses, that has $1.5 million in support from the office of the Brooklyn borough president, Marty Markowitz. Separately, in an adjacent warehouse, Mr. Butler plans to open a beer hall with Mr. Demby, featuring Smorgasburg vendors and a shared kitchen.